Journalists around the world have access to a wide range of digital tools that can help inform their research and shape their reporting—whether it’s digital fact-checking techniques, mapping tools or data journalism. In the Middle East and North Africa, digital integration in news and storytelling differs across the region—some major newsrooms are experimenting while others still lack the capability to use new digital technology in their reporting. According to a recent survey from the International Center For Journalists, 77% of newsrooms across the region are concerned about their ability to create quality content. There’s a pressing need to support journalists, whatever their experience so far, and help them experiment with digital tools. 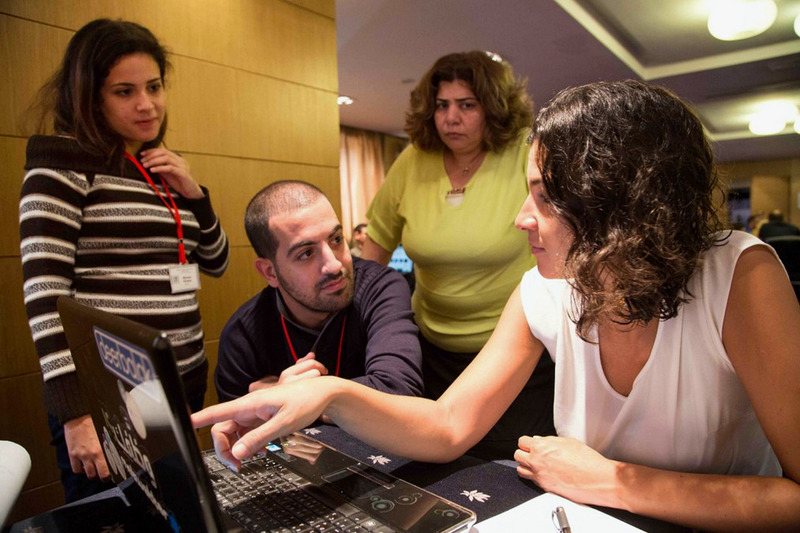 As part of our efforts on the Google News Initiative we’re announcing a new partnership with the ICFJ’s local team, IJNET Arabic, to provide training on digital tools to 4,000 journalists across six countries in the Middle East. A team of nine industry experts will help spread digital know-how, with IJNET Arabic hosting in-person newsroom workshops across the region. In the coming weeks, hundreds of journalists will take part in the first virtual session live from Dubai, from then training workshops will be held in Egypt, Jordan, Lebanon, Saudi Arabia, Tunisia and UAE.